While moles are very common, some can cause cosmetic concerns and others may develop into skin cancer. 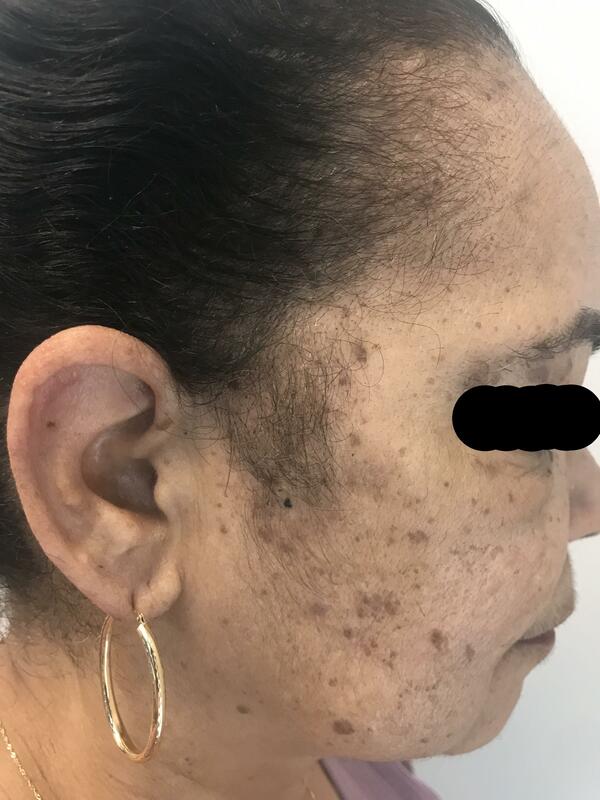 Getting your moles checked by Ife Rodney, MD, FAAD, at Eternal Dermatology can provide you with answers about the health of your skin and removal options, if desired. 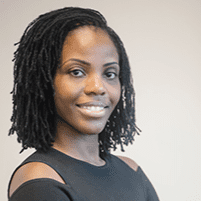 Located in Glenn Dale, Maryland, Dr. Rodney provides comprehensive skin care solutions, including mole removal, so you can look and feel your best. Call or click to schedule an appointment online today. A mole, also called a nevus, is a common skin condition that affects most people. Moles can vary in size from a small dot to larger areas of raised, darkened skin about an inch in diameter. They may be flat or raised, smooth or rough, and may have hairs growing from them. Moles develop from a buildup of skin cells and are non-cancerous. They can grow in childhood or adulthood and may darken with age, pregnancy, or sun exposure. In some cases, moles can be bothersome or uncomfortable and you may want to remove them. Other abnormal changes in a mole can signal cancer, so skin screenings from Dr. Rodney are essential, especially for people who have many moles. Atypical moles are benign (non-cancerous) moles that have a different appearance than normal moles. They may have an irregular shape or color and may change in size. If you have many atypical moles, it may predispose you to skin cancer, especially if your family members also have atypical moles. 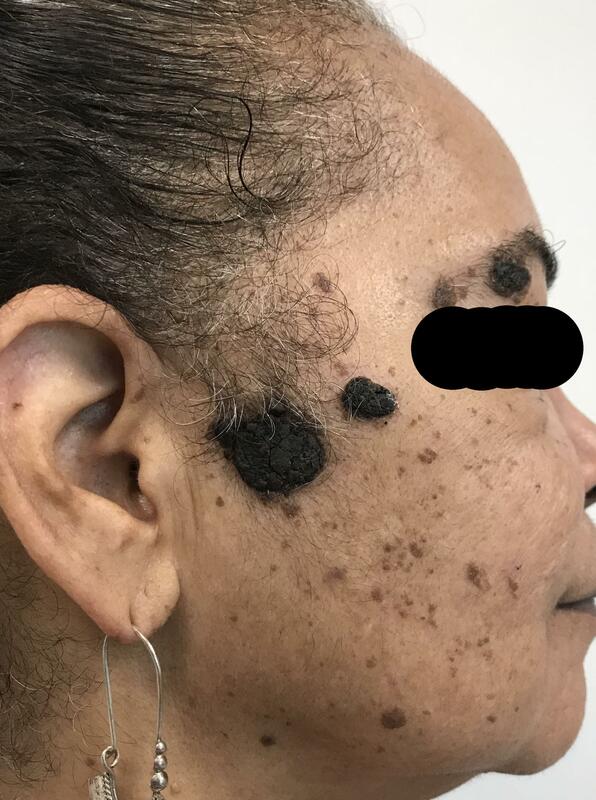 Seborrheic keratoses are a form of benign moles that appear wart-like or may resemble precancerous skin changes. They typically form in middle age and in older people, and you’ll often have more than one. During your skin screening, Dr. Rodney examines the skin throughout your entire body to check for any suspicious moles or abnormal skin changes. While looking at your moles, she checks each mole for telltale signs of melanoma — the type of skin cancer that develops in moles. In some cases, Dr. Rodney may also remove a small tissue sample from suspicious moles to be tested for the presence of cancer. If you have a non-cancerous mole that you want removed, Dr. Rodney performs a simple surgical procedure. She administers local anesthetic and uses a small scalpel to remove the mole from your skin. Your skin then heals over the following weeks while protected by a bandage and antibiotic ointment. Other mole removal techniques include cryotherapy and electrodesiccation. In cryotherapy, the mole is frozen with liquid nitrogen from a spraycan. In electrodesiccation, the surface of the mole is lightly charred. In the following 2 weeks, the mole will form a scab which then falls off. Removal is a simple solution for moles that are uncomfortable or cause cosmetic imperfections. Call Eternal Dermatology or schedule a visit online to discuss any moles that concern you.